If you are convicted of driving under the influence (DUI) in California, you will be subject to punitive and financial repercussions from the courts. During a difficult time such as this, it is in your best interest to immediately seek help from a Los Angeles DUI attorney that can help you navigate the legal system and help make sure you receive fair treatment. However, after being subject to court-imposed fines, mandatory alcohol education classes, license suspension, possible interlock device, probation and possible jail time, you will soon find that your insurance company will not be very forgiving. Having a DUI on your driving record automatically puts you in a high-risk category in the eyes of insurance companies. This means you may see your insurance premiums increase up to two to three times your original rate, or more than 2,000 per year. Of course, this is if you are lucky enough not to be dropped by your insurance company. 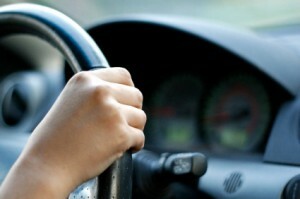 In order to legally drive in California, you must carry adequate insurance. The insurance companies are in the business to make money and you will find that you will have no choice other than to buckle down and accept that you will have to pay higher rates for several years to come. Rates can greatly vary between different insurance companies, so it is important to shop around for the best rates once you are eligible to return to being a licensed driver. Having insurance is not enough in the eyes of the law when you apply for your license after a DUI conviction. You will be required to file proof of financial responsibility with the DMV. This is known as a SR-22 form. It is different from just having car insurance. It is additional proof that you are complying with having insurance coverage for you and your vehicle. An experienced DUI attorney can help you through this process and even guide you on how to file the SR-22 and minimize the additional expense. You will need to obtain SR-22 coverage from your insurer; otherwise, you will not be allowed to get your license restored. If your current insurer does not offer SR-22 coverage, they will drop your coverage and you will need to seek coverage from a company that does offer it. How Long Will You Need the SR-22? If for any reason your insurance and SR-22 are cancelled during these three years, your insurer is required to report this to the DMV. Your license can then be suspended automatically until you are once again in compliance. An experienced DUI attorney can guide you to insurance solutions that save you $1,500 a year or more in filing the SR-22. Regardless of the circumstances surrounding your DUI arrest, you need a Los Angeles DUI attorney to protect your rights. Your first step should be to contact a Los Angeles DUI attorney if you are arrested for DUI in Southern California. They will advise you of what you can expect with the legal and insurance process after your conviction. Call or email Jon Artz if you would like to discuss your case in confidence with an experienced Los Angeles DUI Attorney.